There are no jobs in Broome County? We beg to differ. How many times have you heard “there is no opportunity here?” How many times have you heard someone dismissing our area as someplace borderline inhabitable? Pessimism blinds its bearer. In reality, there are more than 4000 jobs available right now in Broome County. From medical technologists to engineers, from computer scientists to production, thousands of positions are available. How do you find these jobs? Well, you don’t need to know a friend of a friend anymore. We, The Agency, are that friend. We established the Broome Talent Task Force to address these job shortages. With representatives from major employers, schools, and local government, we created a streamlined way for you to find a job in Broome. Broomeisgood.com/work is our custom search engine. Featuring a proprietary algorithm that searches all job databases, you no longer need to bounce between tons of websites. 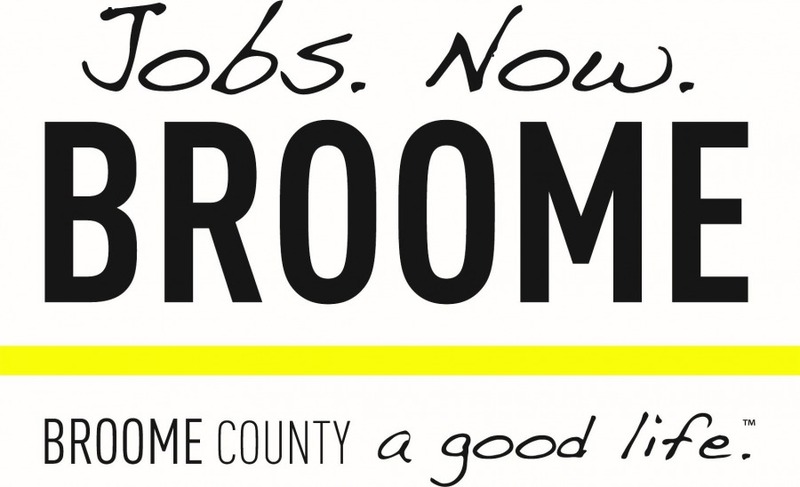 Just type in the job you want and every single position available in Broome County will appear. Go ahead, test it out. If you are a young student, we will be promoting career pathways for you through our Jobs.Now.Broome campaign. We want to show you the high quality and diversity of job opportunity that is available in Broome County, in hopes that you can pursue your passion. Check it out on broomeisgood.com. We here at The Agency don’t just want to create jobs, we want to change the perception of Broome County. There is opportunity here. You can live a good life here. You are wanted here.